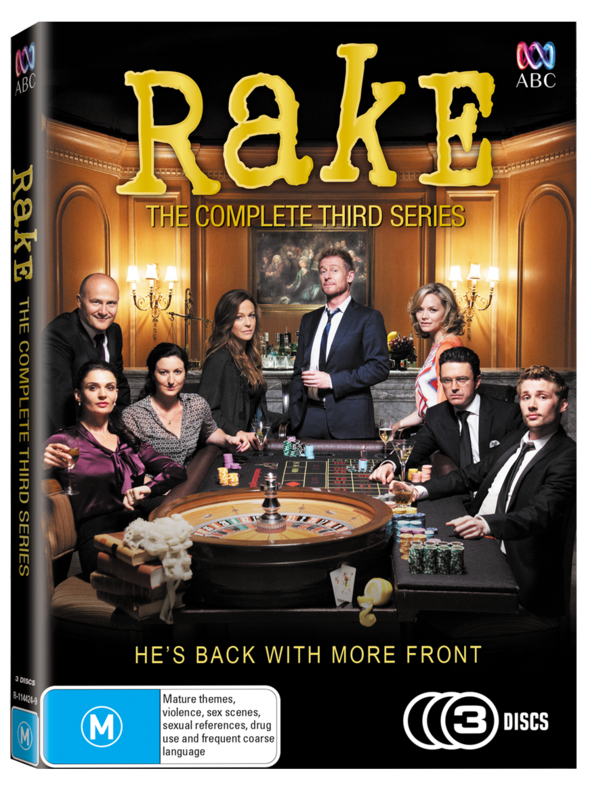 The ABC TV series 'Rake' is back for series 3… and the opp to own your copy is right here. The bar has been lowered... again. Criminal barrister, Cleaver Greene, is back, as reckless, brilliant, self destructive, funny and bloody minded as ever - and that's just his private life. In Series Three, Cleaver languishes in prison, facing the consequences of his crimes and misbehaviours, while he awaits the outcome of his appeal. When the conviction is quashed at last, he discovers his world has grown even more chaotic in his absence. The proliferation of Royal Commissions, inquiries and corruption trials requires so many barristers, even Cleaver can find work. Over the series, Cleaver Greene finds himself inadvertently at the heart of a billion dollar moral, political and criminal dilemma.